When Finn meets Fionna. . HD Wallpaper and background images in the ফিন ও জ্যাকের সাথে অ্যাডভেঞ্চার টাইম club. This ফিন ও জ্যাকের সাথে অ্যাডভেঞ্চার টাইম photo might contain নকল মানুষের, কমিক বই, কমিকস, and কার্টুন. They don't live in different dimensions- they live in different lands, right? Land of Ooo and Land of Aaa? 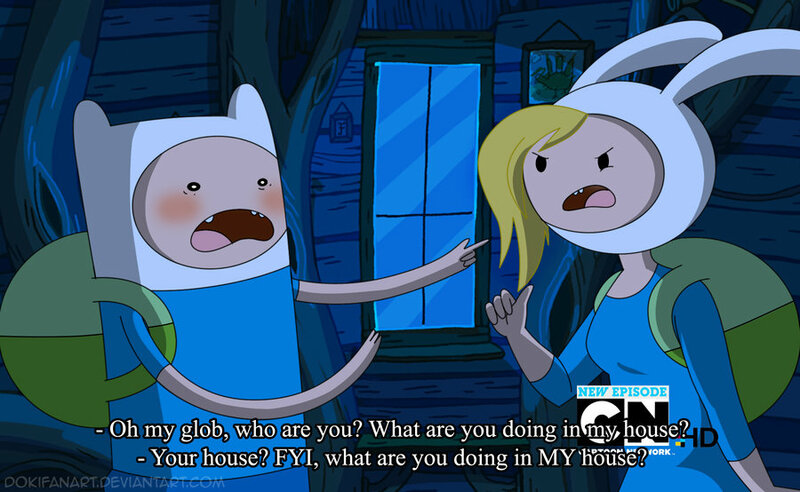 Wouldn't Fionna have her own house? Deal with it, they are going to meet someday. Funny another pic but Fionna kicks Finns a** funny. I ALWAYS FANTISISE ABOUT THIS KIND OF STUFF! They NEED an episode where somehow the genderswapped characters and the original characters somehow meet.